Farming in New York City may not be the first career that comes to mind when you think of making your living here in the Big Apple. 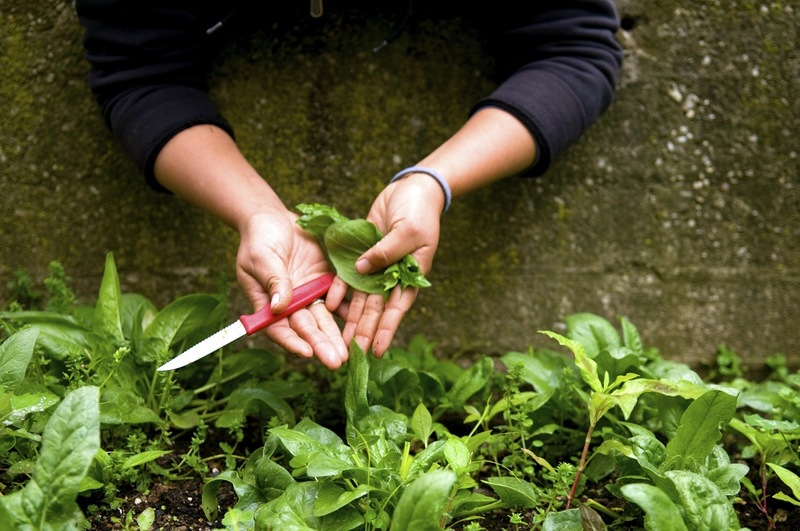 But urban farming has become a major movement and a growing and viable career option for New Yorkers who long to get their hands in the dirt and grow food on the most local level possible–inside some of our city’s dense neighborhoods. 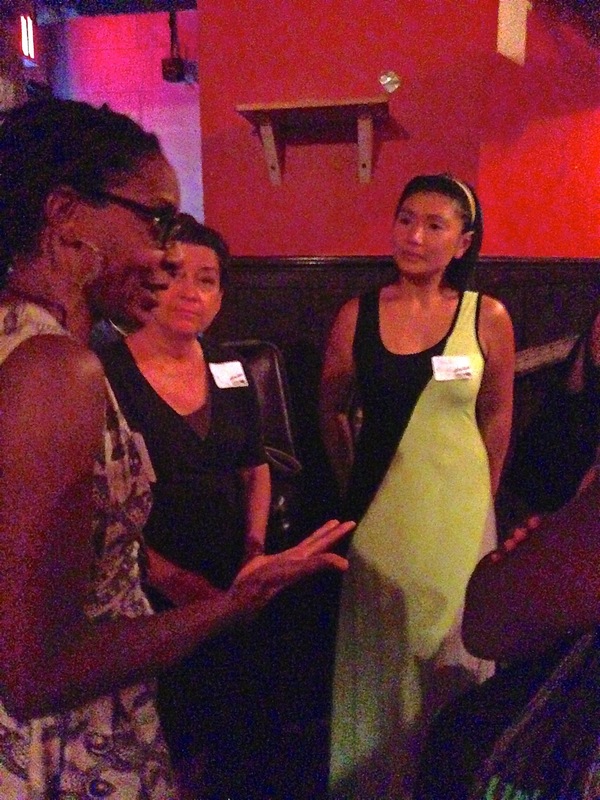 At a recent Meetup event hosted by Farm School NYC, some of these aspirant farmers gathered in the dimly lit backroom at Jimmy’s 43 to learn more about growing food for a living in and near New York City. Onika Abraham, Farm School NYC’s director, greeted prospective students and answered their questions about the school’s application process and curriculum. 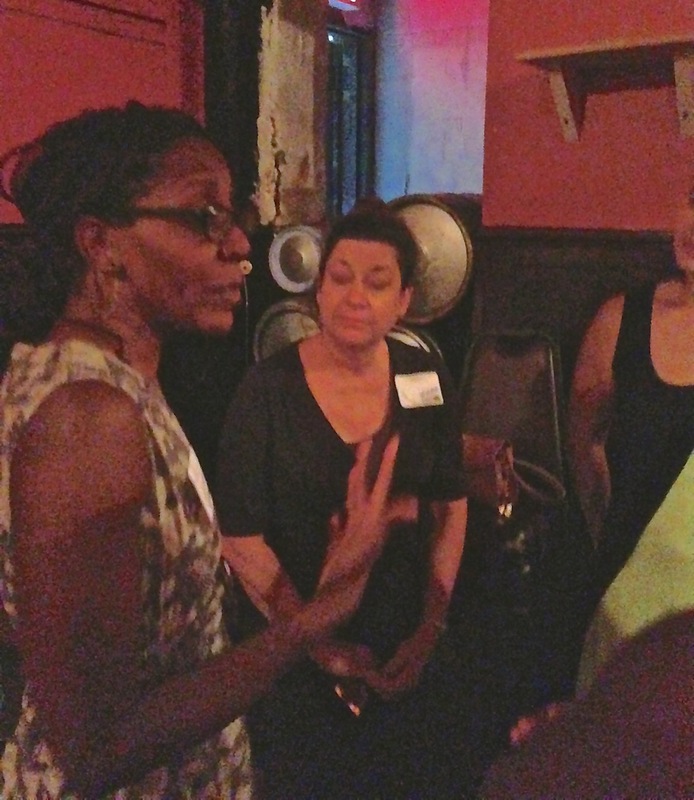 The Meet-up also gave prospective students the opportunity to meet and get practical information from Farm School NYC instructors, staff, students and alumni, farm managers and other supporters and allow existing students–about 60 people in total–to network with potential future employers. Several students at the mixer said they had already applied, while others, like Rebecca Monahan, came to the meet up for Farm School to learn more about the curriculum, meet the teachers, and ask current students how they enjoy the program. “It was a wonderful and inspiring experience being able to meet the local urban farming community. Everyone was filled with so much passion and it really pushed me to apply. That night when I got home, I finished my final edits and submitted my application,” says Monahan. She has fingers crossed, she says, because the school only accepts about 25 new students each class. What is Farm School NYC? 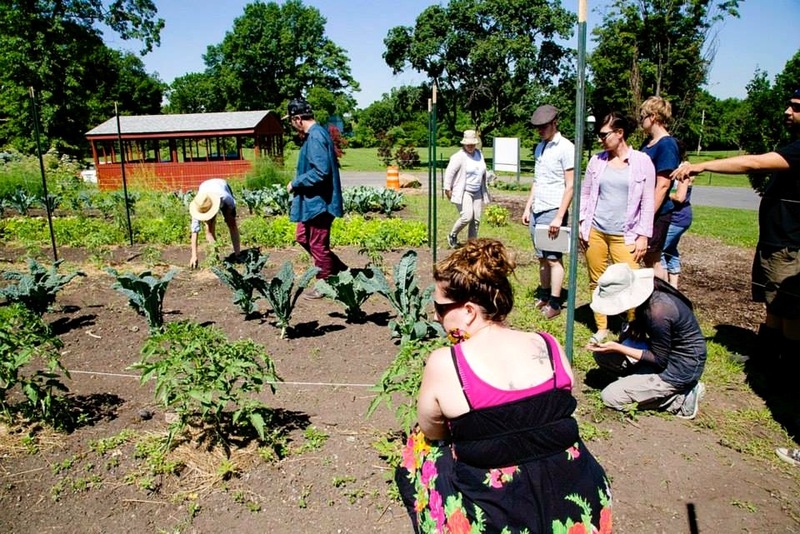 Farm School NYC was created by a collective of urban farmers, gardeners, educators and activists​ in collaboration with​ Just Food, a food access and justice advocacy organization in New York City. Farm School NYC teaches students about urban agriculture with the specific mission of cultivating leaders in the food justice movement who can build self-reliant communities and inspire positive local action around food access and social, economic, and racial justice issues. Farm School offers a two-year certificate program, as well as a wide range of individual courses taught by experts in the field. Students must also complete a 140-hour apprenticeship in their second year at an approved farm or garden in the city. Our school’s apprenticeship sites include some of the most established farms and gardens in the city, notes Abraham. 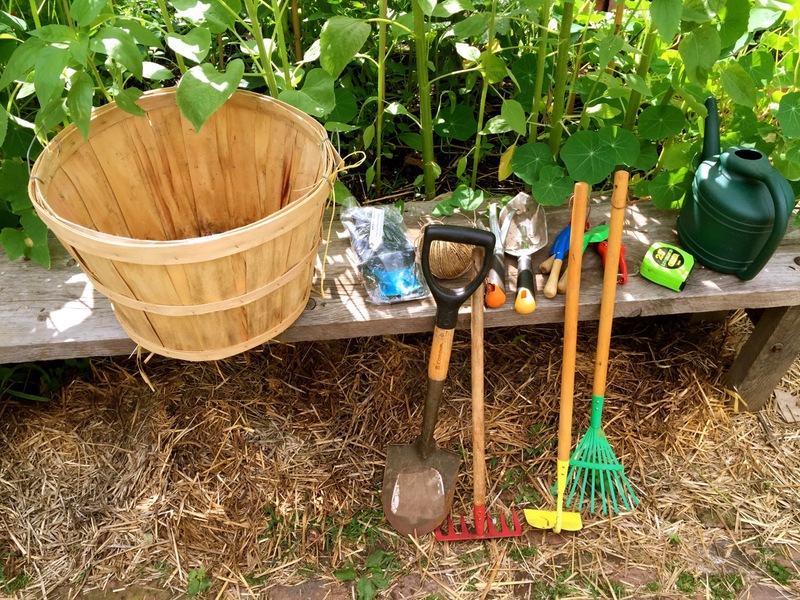 Is Farm School for You? 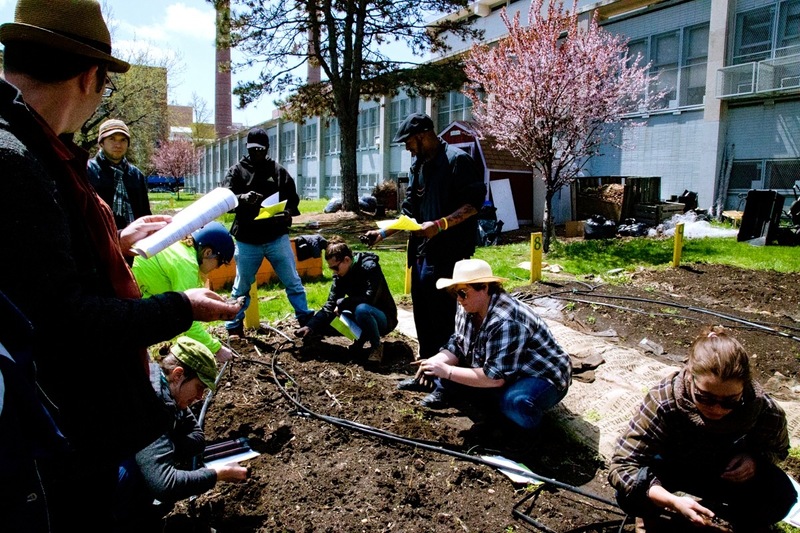 “Farm School NYC is ideal for people who are interested learning not only the intricacies of agriculture–from basic botany to soil health to propagation, but also how agriculture intersects with urban environments, the health and wellness of its inhabitants, and social and economic justice in our communities,” says Abraham. 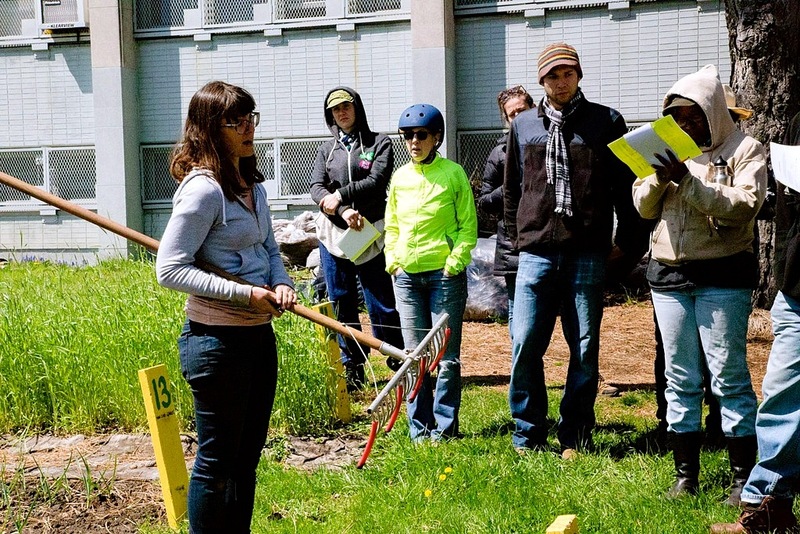 When admitting applicants, Farm School NYC looks for passionate, enthusiastic learners who want professional urban agriculture training and want to use the skills they learn to inspire positive action in their communities. The certificate program is a big commitment of time and effort, so the school seeks people able to make the program a priority for the 2+ years it takes to complete it, cautions Abraham, who understands the level of commitment and passion needed to be a farmer. She joined Farm School NYC as its director this year, having spent the last four years with her own hands in the soil learning as much as possible about growing sustainably. 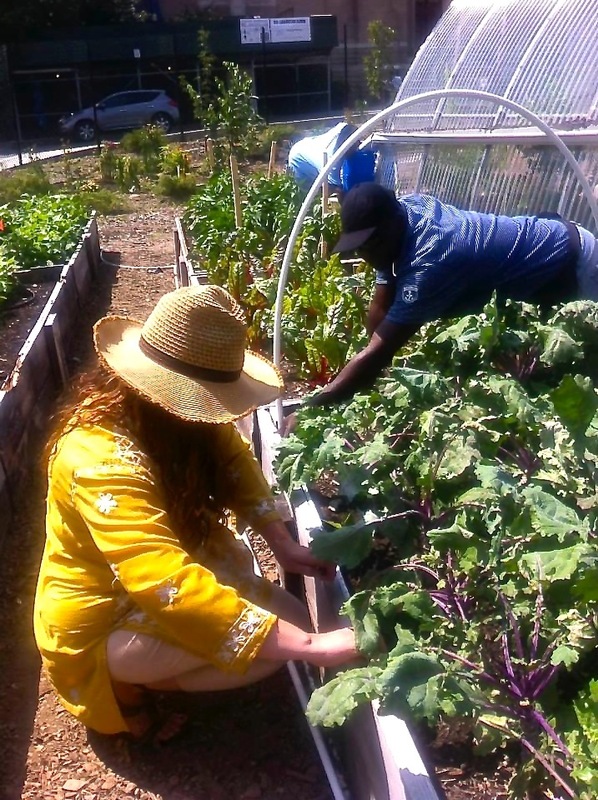 She apprenticed at the Center for Agroecology and Sustainable Food Systems (CASFS) in Santa Cruz and completed the Brooklyn Botanic Garden’s Brooklyn Urban Gardener certification program. “Students have a variety of goals and aspirations for how they want to integrate the skills they learn with us into their lives and careers, and our role is to support them in that process and use our network to assist them in finding positions that serve them, says Abraham. Some Farm School alumni are currently farming full-time, while others teach or run farmers markets instead of on-the-ground farming. Abraham notes that not every student wants to be a full time farmer and that the school can help students better define their career goals. Monahan says would like to work with a farm that is able to support local restaurants, catering companies and farmers markets. “Eventually, my goal is to have the knowledge and ability to plan, design and maintain an independent small farm. Food has always been a passion of mine, and I truly look forward to learning how to create a local, self-reliant food source,” she says. Monahan comes from a family of chefs and restaurateurs, including her father, her sister and her husband, and has worked her entire adult life in the restaurant and catering business. The massive amount of food and package waste in commercial kitchens concerned her, including damaged or spoiled produce from shipping and poor quality food left uneaten and thrown out. “Urban farming eliminates the miles our food has to travel, with less pollution or packaging waste, and provides solutions to other environmental issues, like storm water run-off and local air quality. From my years of working in the food industry, I have seen how beneficial a sustainable, just food system would be, including access to nutritious food grown and enjoyed within our city. The future of food in NYC is local urban farming, and I would love to be a part of this incredible movement, says Monahan. 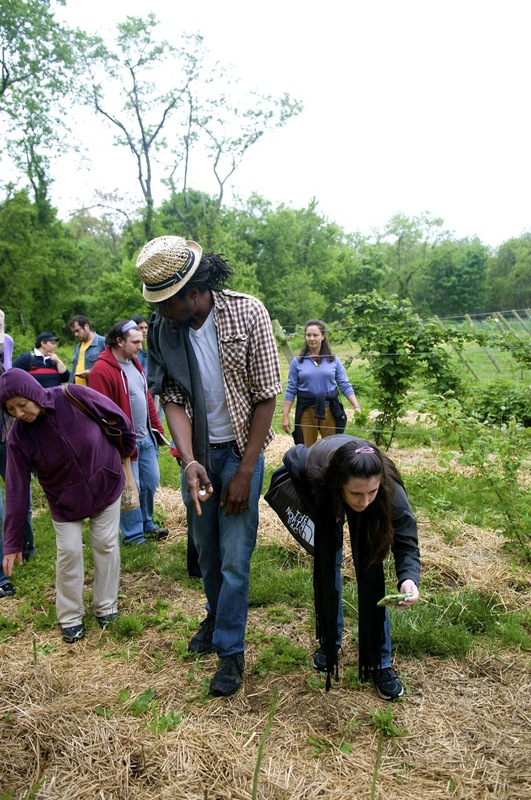 Applications for Farm School NYC are due on September 15, 2014. You can apply online, email a PDF of the application, or print it and mail or fax a completed application. No late applications will be considered, so if mailing it, be sure you drop it in the mail by September 10 to ensure delivery on time. The school’s tuition varies on a sliding scale based on income, and can range from the most subsidized rate of $435 to an unsubsidized $6,090. For an application, instructions and more information about tuition, visit Farm School NYC page.